Wheat growers have a new weapon in the fight against grasses and broadleaf weeds in-crop with the release this week of the highest-yielding APW Clearfield® Plus variety, Sheriff CL Plus, by InterGrain. Extensive company and National Variety Trials (NVT) (trialled as IGW6155) have shown Sheriff CL Plus consistently delivers similar yields to Mace and will be an alternative for varieties such as Elmore CL Plus, Grenade CL Plus, Kord CL Plus and Chief CL Plus. InterGrain wheat breeder Dr Daniel Mullan says trials have highlighted the variety’s excellent yield stability across multiple environments and it is the only mid-late maturing Clearfield® Plus wheat currently available, these are key advantages compared to other Clearfield® Plus wheats. He says it is the highest yielding APW Clearfield® Plus wheat, and is available in South Australia and Victoria for planting in 2019. Sheriff CL Plus is an exciting new addition to our Clearfield® Plus wheat portfolio. 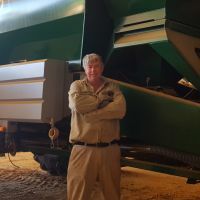 It is a very high yielding wheat, combined with a flexible weed control system and an APW classification in Victoria and South Australia,” he says. “The Clearfield® Plus wheat production system has many benefits for wheat growers, it provides another post-emergent grass and broadleaf weed control option with use of the Intervix® herbicide, protecting crop yields by eliminating weed competition and reducing weed seed banks for following crops. 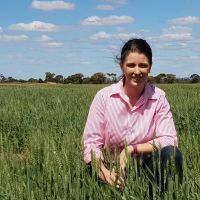 “It is especially valuable where brome and barley grass are an issue or are an increasing problem for growers to control. Dr Mullan says aside from its high yields and Clearfield® Plus advantage, Sheriff CL Plus offers a range of agronomic and grain quality advantages. 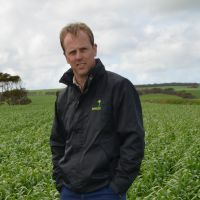 “It is a mid-late maturing variety, which is a valuable asset for taking advantage of early sowing opportunities and is the only Clearfield® Plus wheat available in this maturity,” he says. “Sheriff CL Plus is ideally suited to planting from late April to early May and has a distinct maturity difference to Chief CL Plus in South Australian and Victorian conditions. “This new variety takes an average five days longer to flower than Chief CL Plus and means it can be sown about a week earlier, offering growers in these states an alternative wheat option to help spread flowering windows”. Sheriff CL Plus was bred by InterGrain with a purpose to not only deliver stable yield but good yellow leaf spot resistance (it is rated moderately resistant to moderately susceptible – MRMS). “Our Clearfield® Plus breeding program actively targets the delivery of useful disease resistance packages in combination with high and stable yield,” Dr Mullan says. Sheriff CL Plus has a moderate plant height and demonstrates good physical grain quality characteristics, including good grain size and hectolitre weight. Sheriff CL Plus is available for planting in 2019 and it is recommended interested growers place seed orders as soon as possible with local Seedclub members and/or resellers.